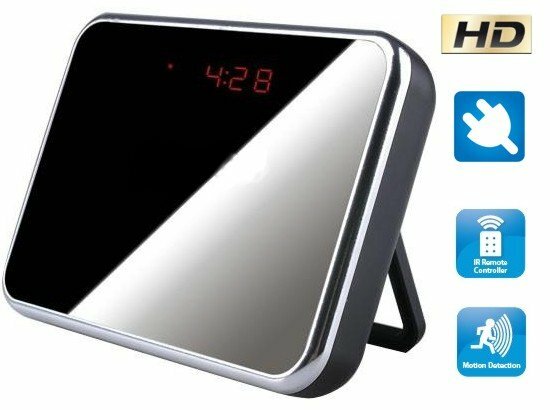 Spy camera hidden in alarm clock recording video 1280 * 960 pixels. 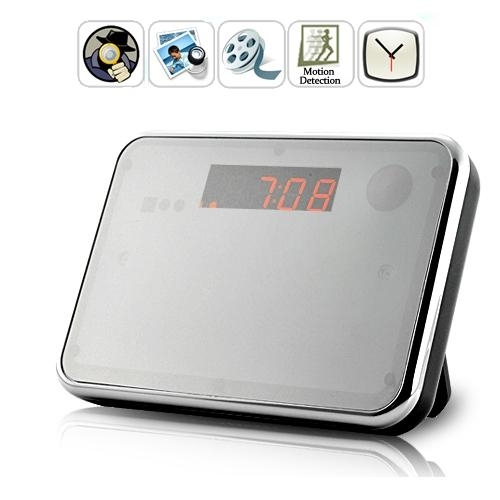 You can use it as a home security monitoring through motion detection function. Spy camera hidden in alarm clock recording video 1280 * 960 pixels. You can use it as a home security monitoring through motion detection function. 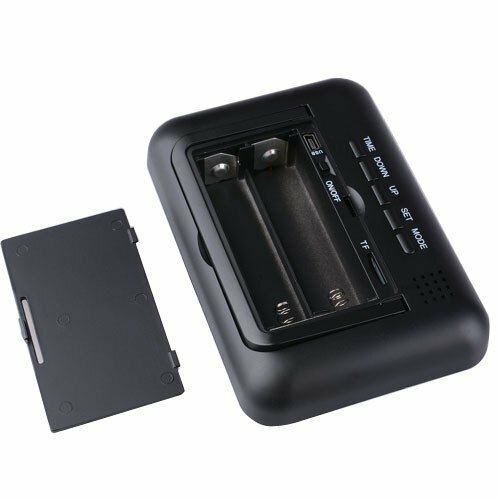 Support micro SD card, up to 32GB, and package includes remote control and two high capacity batteries 4800 mA, which allows you to record several hours of video. 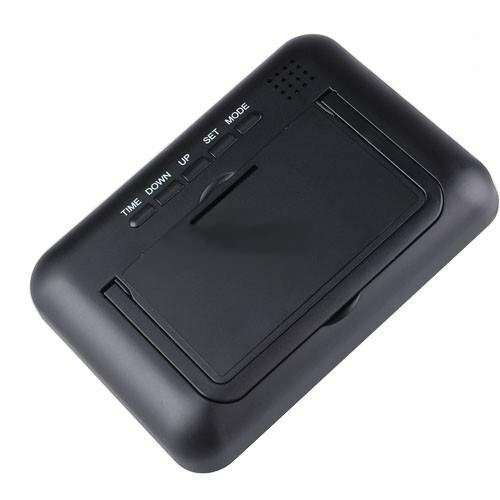 Camera offers functions like spy camera, USB drive, web camera, voice recorder, display the date and time and snooze alarm.